The 2nd Chemical Engineering Diamond Jubilee Keynote Lecture by Prof Jarka Glassey: This talk is the second of talks celebrating 60 years of Chem Eng at Edinburgh! This contribution will provide an discuss the changes in chemical engineering education trends over the past few decades and overview of the effectiveness and efficiency measures currently used in chemical engineering education in Europe. The findings of the iTeach European project consortium (www.iteach-chemeng.eu) will be used as a basis for examining whether the chemical engineering education is seen as fit for purpose. The project aims to develop a robust and objective framework for assessing the efficiency of various pedagogical methodologies, in particular those facilitating the development of important core competencies related to employability. The project will also evaluate its validity for a range of pedagogical methodologies used in chemical engineering in a range of geographical and educational contexts. Current practice and some tools of active learning will be highlighted with examples. Approaches to the assessment of the effectiveness of teaching of core (chemical) engineering knowledge and of the development of professional skills and competencies required to increase the employability of the graduates will also be outlined. The session will be interactive and discussion with the audience will support exchange of good practice. 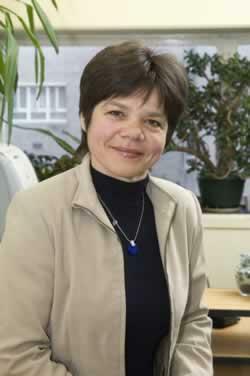 Jarka Glassey is a Professor of Chemical Engineering Education at Newcastle University. She also chairs the Education Special Interest Group of the Institution of Chemical Engineers, She is an Executive member of the IChemE Education and Accreditation Forum with responsibility for pedagogical development, a secretary of the Working Party of Education of the EFCE as well as the Editor in Chief of the Education for Chemical Engineers journal. Her main pedagogical research interests are in the areas of curriculum design, active learning and employability skills in chemical engineering education. Currently she coordinates iTeach, an Erasmus Multilateral Projects sponsored project, aiming to develop a robust framework for the evaluation of the effectiveness of pedagogical approaches used in core chemical engineering knowledge and employability competency delivery. Her research interests are in the area of bioprocess development, modelling, process optimisation, Quality by Design and Process Analytical Technologies.